LightSpace: a clever app that lets you paint with light. You can walk around your paintings to see them from every angle. It is possible to record videos while you paint. InkHunter: lets you try augmented reality tattoos before getting a real one. 1600: an iPhone augmented reality app that gets kids and adults familiar with what happens at 1600 Pennsylvania Avenue. You can explore from different angles by moving your phone. 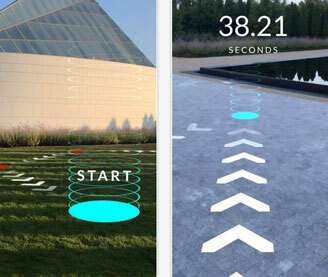 AR Runner: an AR game you can play indoors and outside and compete against others worldwide. It has 4 game modes, 4 field sizes and 6 shapes. 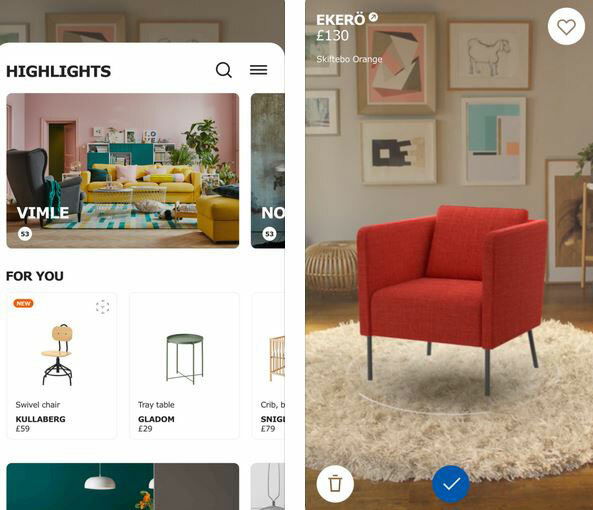 IKEA Place: this iPhone augmented reality app uses ARKit to let you try IKEA items at your place. 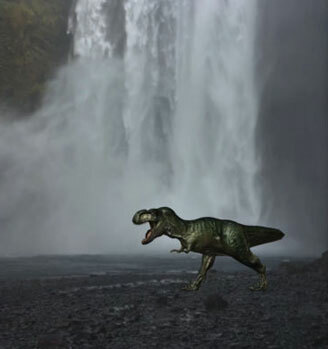 Jurassic World Alive: thanks to this app, you can experience dinosaurs on your iOS devices everywhere you go. You get to discover dinosaurs on a map, collect rare breeds, create hybrid creatures, and use augmented reality to interact with creatures. 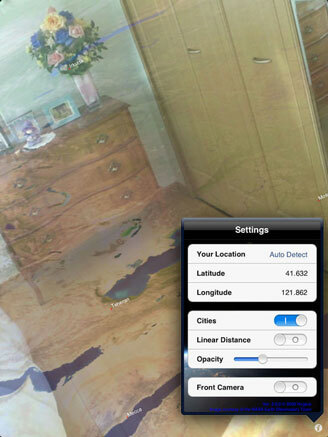 Transparent Earth: a nifty app that lets you see the other side of the world under your feet. 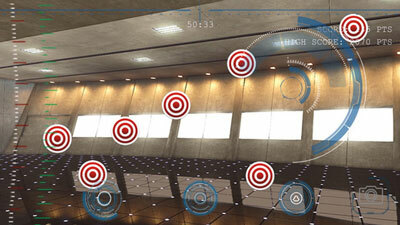 Iron Man HUD for iPhone: an AR application that uses your iPhone’s camera to create a HUD on your screen. It comes with Jarvis interaction, multiple modes, and ability to record video and take screen shots. 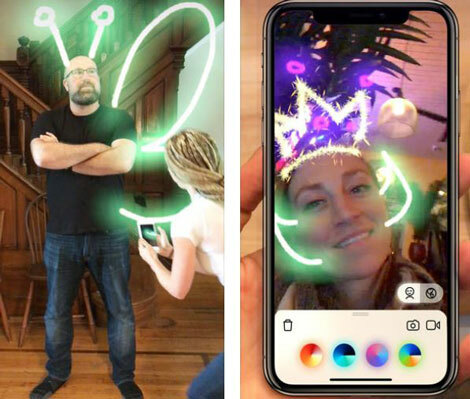 Paint Space AR: another app that lets you draw in the air with virtual brushes. Special effects such as snow, rain, and fireworks are also available. 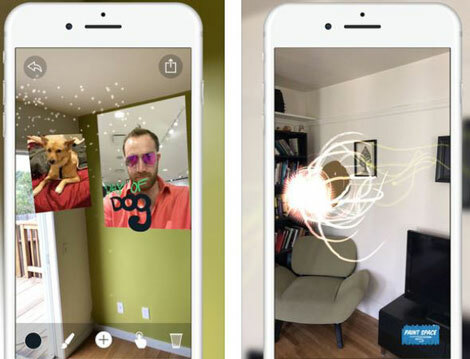 Dimension: a trippy app that merges physical and digital worlds through ARKit, allowing you to explore augmented reality dimensions all around you. Vuforia Chalk: lets you draw on your screen (arrows, instructions) and share your AR view with others. 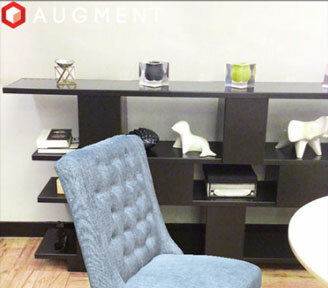 Augment: lets you share 3D models in AR with your customers. Allows them to try before they buy. 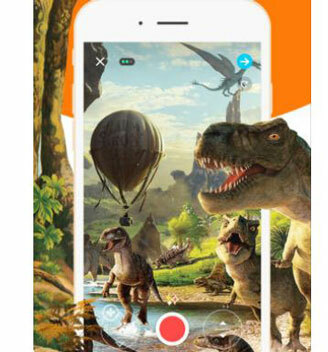 Dinosaurs Everywhere: brings dinosaurs back to life, allowing you to use your phone or a VR headset to see them all around you. 10 different dinosaur species are available. 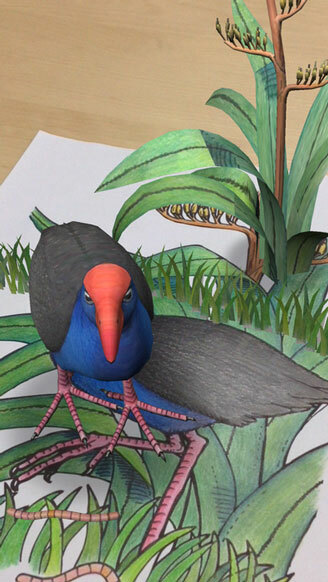 Quiver: a 3D coloring app with AR to bring your children a more interactive experience. Your artwork is brought to life on your smartphone. 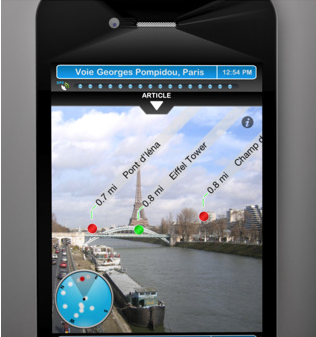 Layar Reality Browser: a free application that displays digital information on the top of what you see through your camera. The app has a lot of potential, and a lot of you wrote to me to include it in this list. I still believe it has some issues that need to be resolved but it’s free. Geobe AR: a social augmented reality app that lets you use paintings, text, and objects to interact with your world and share interactions to social media sites. Fidget Spinner: so you can’t get enough of fidget spinners? Thanks to this app you can play with virtual ones on your phone. They feature 3D visuals, real sounds, and accurate real-time physics. 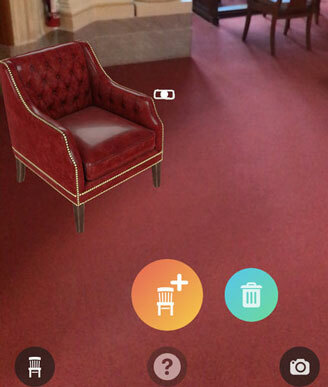 Roomle: a room planner that brings your ideas to life using augmented reality. 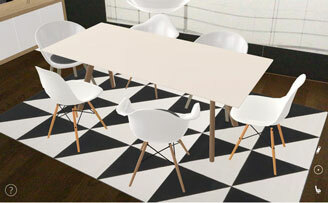 A 3D catalog of over 1000 furniture and living accessories is available. 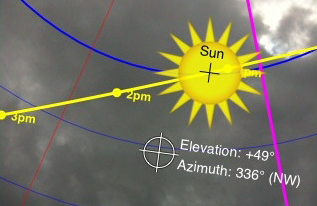 SunSeeker: SunSeeker is one cool iPhone app that shows you everything you need about the sun, its path in the sky, and other interesting information about the sun. 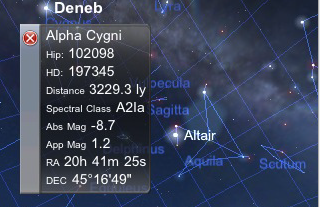 Dishpointer: it shows you how the satellites are lined up in the sky. No matter what’s in your way, this app will reveal all. 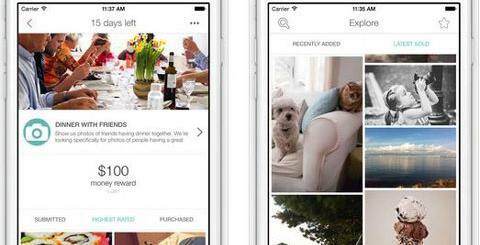 Flow: powered by Amazon, this app shows you info about items all around you. Just point your camera at video games, packaged goods, and everything else to get started. 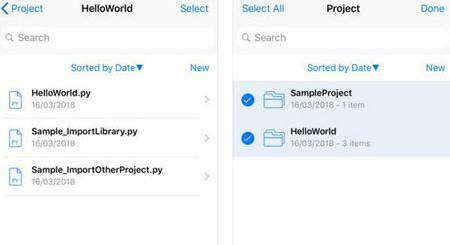 Graphmented: an ARKit app that brings graphs and charts to life on your desk. Lets you explore, record, and present 3D charts. 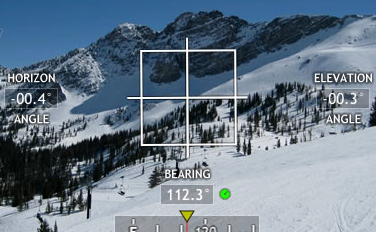 You will be able to easily rotate, scale and move graphs. 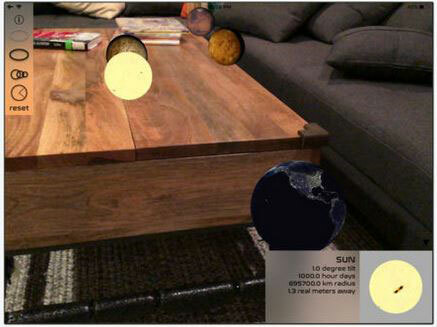 Augmented Reality Solar System: this ARKit app brings planets from our solar system to your home, allowing you to interact with them and learn a thing or two in the process. You can walk right up to them to get a closer look. 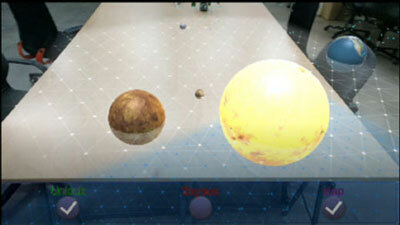 Solar System AR: brings the solar system to your place using ARKit. It has the Sun, Venus, Earth, Moon, Mercury, and Mars. You get a time slider too. 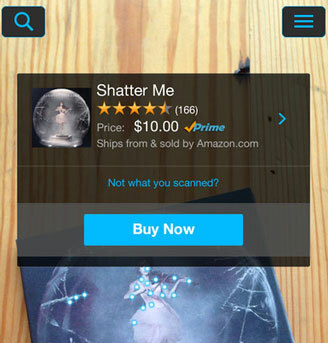 Star Chart: gives you your very own virtual star chart on your iPhone. Just point your iPhone to the sky and this app will tell you what you are looking at. 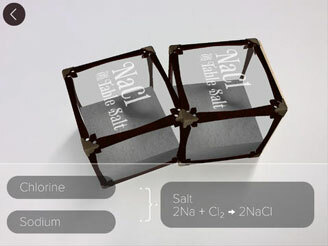 Elements 4D: an interactive app that helps you learn more about elements and their names. You can combine elements to see how they react. 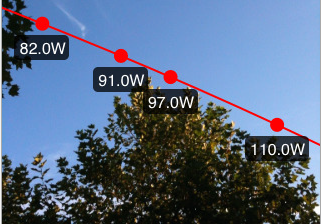 AirMeasure: an augmented reality measuring toolkit with over 15 modes to use on your phone. You can use it to trace outline of a room, measure distance, and draw 3D cubes. 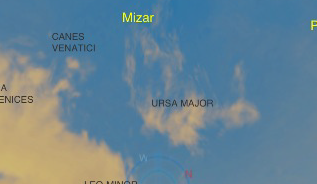 Pocket Universe: a great astronomy app for iPhone that lets you discover stars and planets in the sky without even needing a book. Just point your iPhone to the sky, and you are all set. 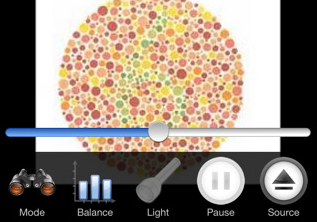 DanKam for iPhone: an augmented reality application for those who are suffering from color-blindness. It is an experimental application at this point, but it could have huge potential. 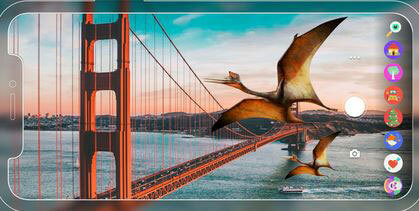 Leo: this is an augmented reality camera app that lets you take photos with realistic 3D objects. You will be able to capture and share mixed reality videos with others. The app is powered by ARKit. Waazy: an AR video maker that lets you record cool video with AR lens. 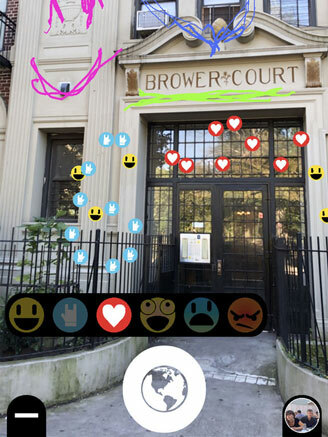 Lets you add multiple AR characters at the same time and share your work with the world. 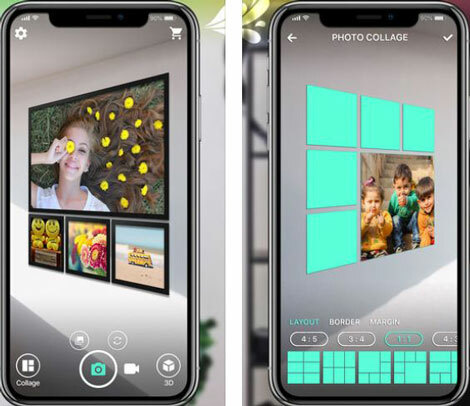 AR Camera: this AR app lets you create collage with your photos and place them anywhere. It features flexible collage layout and frame. SketchWiz: turns your camera into a sketcher. 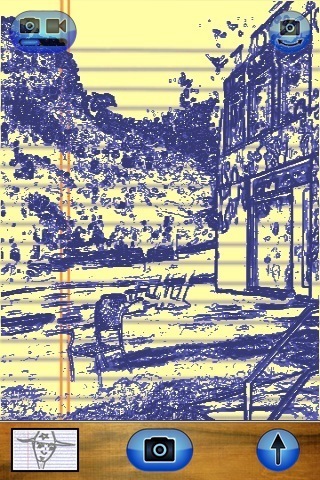 Changes the way you see your world and can be used to create some awesome artwork. 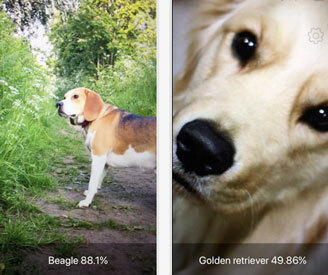 Dog Identifier: this app uses machine learning and Vision API for dog breed identification. It supports over 100 dog breeds. 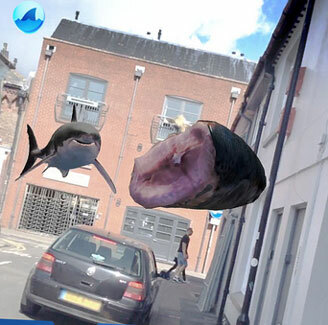 shARk by Curiscope: brings virtual sharks into your world. You will be able to find and feed virtual sharks. 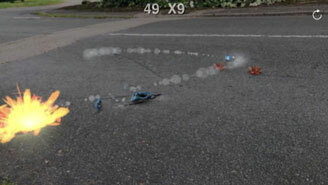 Drone Blaster: a game that involves moving around to dodge enemy lasers and collecting floating items in your path. 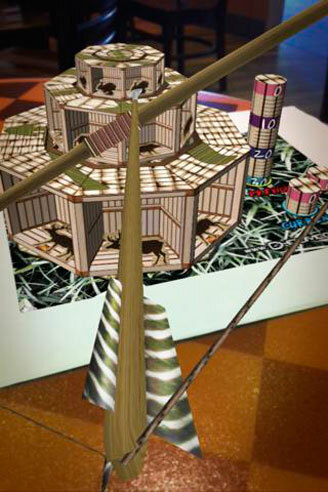 Bowmaster: an AR archery game that lets you shoot at targets around you on your smartphone. 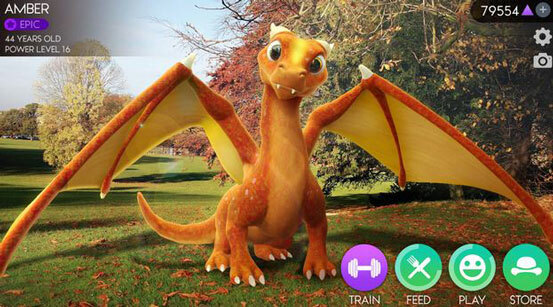 AR Dragon: an augmented reality pet simulator for those of you who have a thing for dragons. Each day your dragon grows larger in size with no two dragons looking the same. 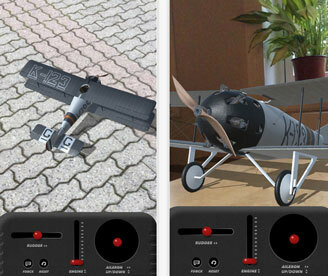 AR Airplanes: lets you fly a RC airplane in an augmented reality environment. It uses ARKit. 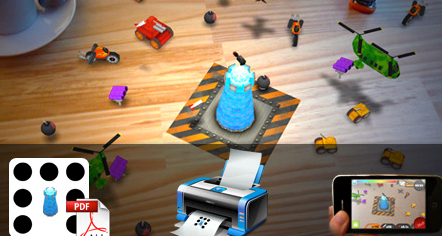 Color BlastAR: an augmented reality game for kids that encourages them to find treasure chests and hidden items to blast zombies. 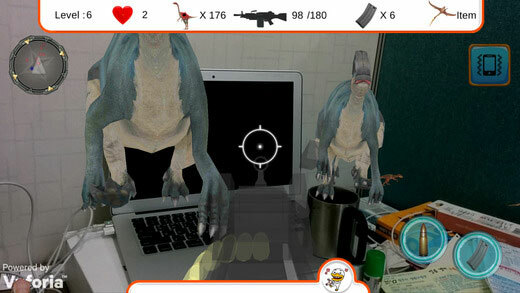 AR Dino Defense: another app that brings dinosaurs to life, challenging you to defend against them. 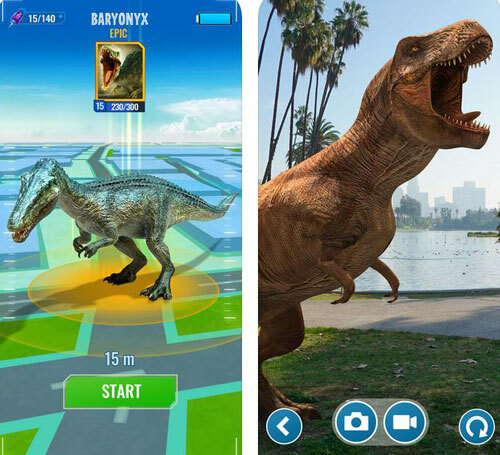 dinosAR: another augmented reality dinosaur app for iOS. It brings dinosaurs to life, with 12 creatures currently available. 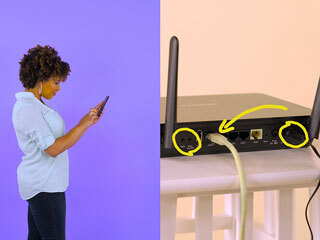 It can record video too. 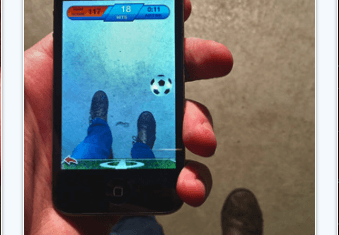 AR Soccer: as suggested by a few of our readers, this is soccer meets augmented reality. Gives you a virtual ball to play with at all times. 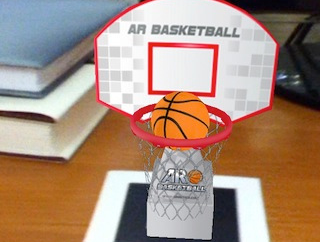 AR Sports Basketball: this ARKit app lets you play an augmented reality game of basketball on your desk. AR Invaders: want to fight aliens in your backyard? That’s what this application offers. 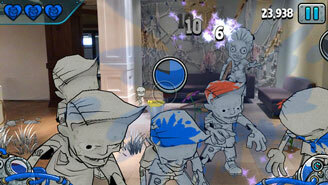 It has multiple levels of difficulty and can be played in 360 degree mode standing up. 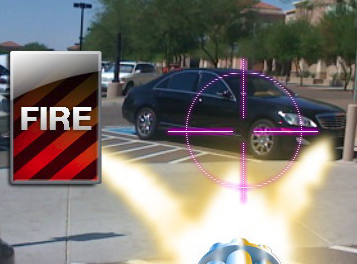 FirePower: a very interested augmented reality game for iPhone that lets you shoot at cars on your phone. Great for stress relief. 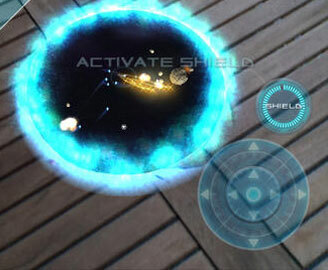 Asteroids AR: allows you to open a wormhole in your living room, test your reaction skills, and use upgrades to enhance your spaceship. 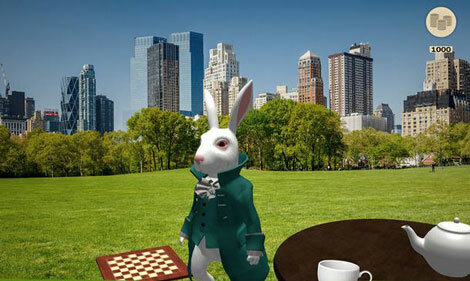 Alice in Wonderland AR Quest: this augmented reality iPhone game lets you enter the Wonderland on your phone, go through portals and follow the white rabbit. 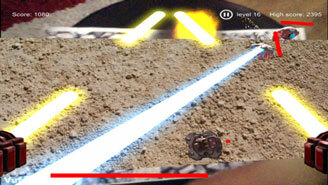 Star Wars Jedi Challenges: brings a smartphone-powered Star Wars AR experience to your home. You will be able to engage in lightsaber battles or try Holochess. 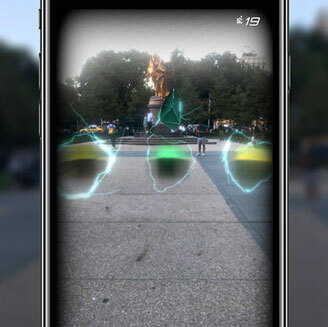 powARdup: another game that lets you battle through wave of enemies in AR. It features laser pointer controls fro 20 ship customization options. 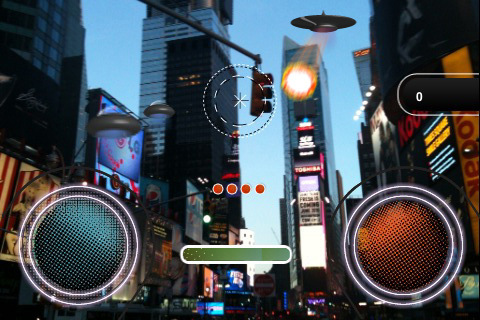 ARDefender: this game blends your game with your reality, making your experience with it more fun. Game play is pretty decent too. SpyGlass: turns your iPhone into a spyglass. 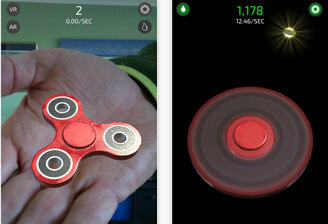 Shows you a compass, GPS info, and much more on the go. Very useful for outdoors. 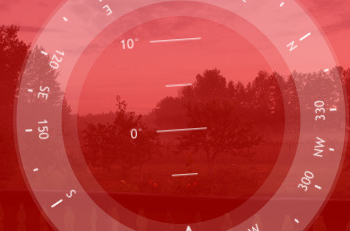 Theodolite: a cool little app that acts as your compass, GPS, map, and two-axis inclinometer. Great for hiking and active sports in general. 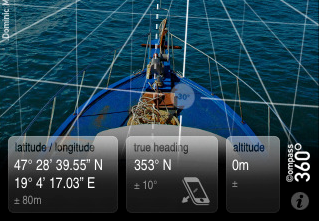 Compass360: an augmented reality compass that displays geographic directions around you right on your iPhone (over your reality). It’s simply a compass on steroids. Places Extreme: an AR app that helps you discover information about places around you. 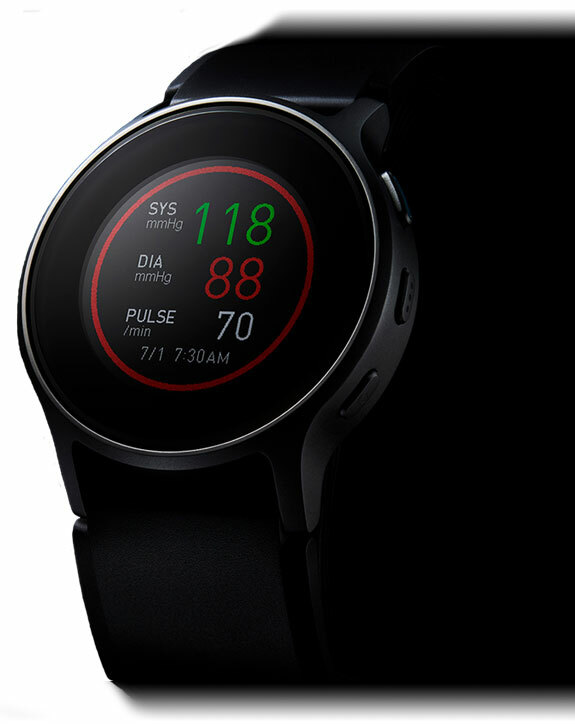 It supports Apple Watch. Simply point your device at places and touch them on the screen to see reviews, opening/closing hours, and other info. 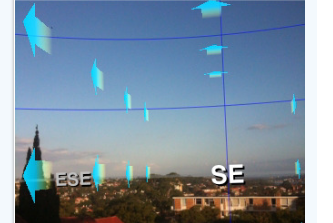 Wind Seeker: a 3D augmented reality iPhone app that shows you wind and weather conditions in your area. 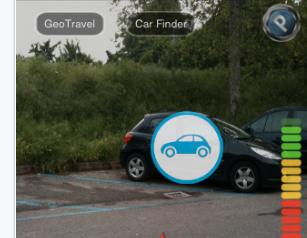 Augmented Car Finder: a fun car finder that takes advantage of augmented reality technology to show you where you have parked your car. It’s not perfect but one of the better ones on the market. 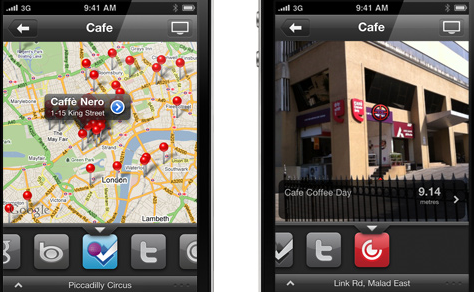 Localscope: gives you a whole new way to explore your local area and what’s all around you. It takes advantage of data from multiple search engines and geo social networks to help you get more done in your local area. Peaks USA: great application for those into climbing mountains. 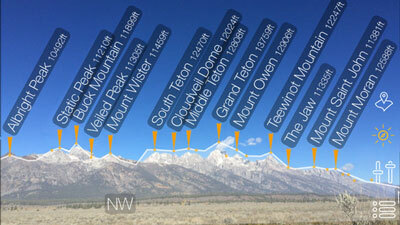 Shows you information on nearby peaks right on your phone. 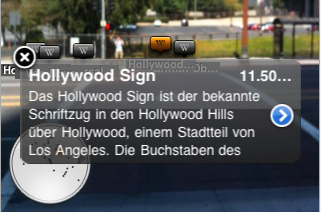 Wikitude: another cool augmented iPhone application that helps you explore your surroundings effectively on your phone. 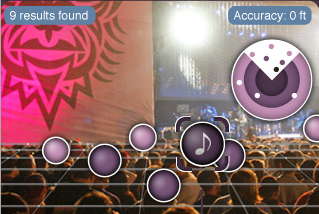 POIs are displayed on your screen, and you can find what you are looking for on your phone like never before. It’s free too. 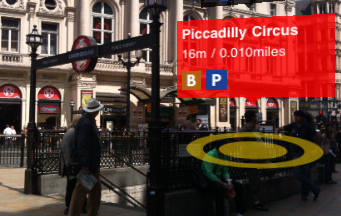 London Tube: if you happen to live in London and are looking for an app to help you get around your city more effectively, London Tube comes in handy. GeoTravel: a travel guide on steroids. Not only helps you get around more conveniently in a foreign city, it takes advantage of AR technology to help you get to your POI faster. 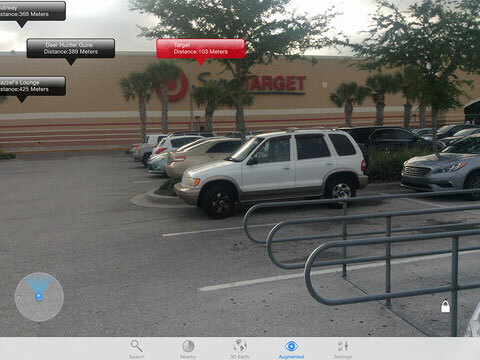 So what are your favorite augmented reality apps for iPhone?